It’s been a mild winter here in the Ozarks, with temps fluctuating between single-digit bone chilling cold to spring-like days when we traded parkas for tee shirts. Green sprouts appeared in the garden a month ahead of schedule and daffodils splashed color across the late winter landscape. We settled in the Ozarks 22 years ago after decades of living and working in far-flung spots on the globe. We’ve seen a lot of changes in our time here, but one thing has remained constant. When the daffodils bloom we know we’re in for at least one more round of winter’s breath. And so it was again this year when the mild days of early March were swept aside by an arctic blast of cold rain that turned to snow that turned to sleet, leaving us shivering under a thin sheet of slick white stuff. Sasha had a fine time prancing around the yard as the sleet-crusted snow crunched beneath her paws. I snapped this photo of her in one of her rare still moments, just before she returned to zooming around the yard. I was glad to see her in self-exercise mode, as I was less than enthusiastic about navigating icy patches on the sidewalks and streets. Fortunately the sun came out and cleared a path so we could continue outdoor training time without fear of landing flat on my … whatever. If winter weather has you cutting short your dog’s training time, consider these suggestions offered by Mary Burch, AKC Canine Good Citizen director: teach a skill; tease their brains; and find ways to have fun inside and out, no matter the weather. For details, read Mary’s article here. 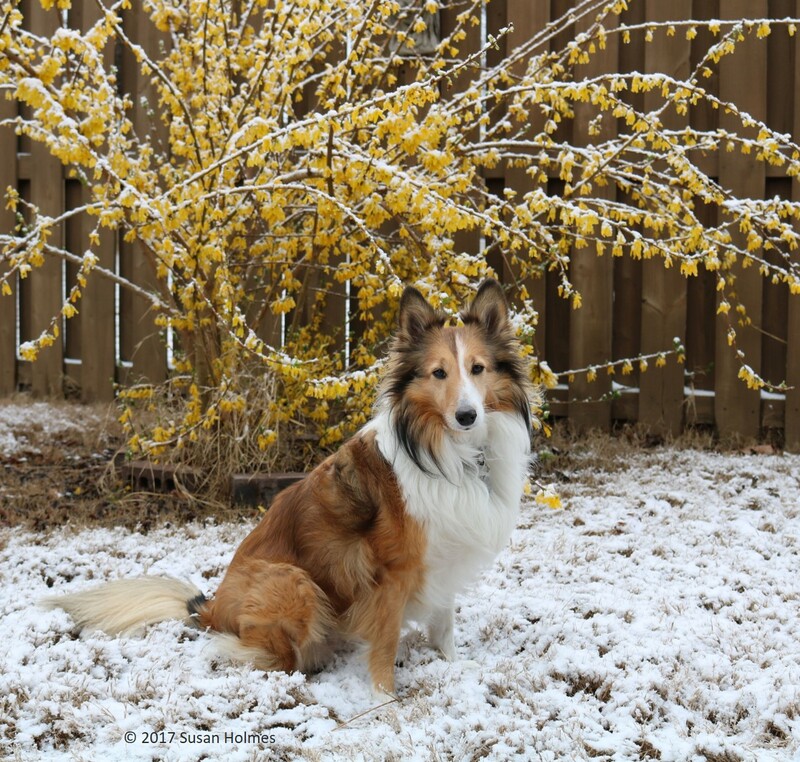 Cold weather brings a host of challenges for both dog and owner. Check out these 10 winter safety tips posted by Randa Kriss to the general care section of the AKC website. 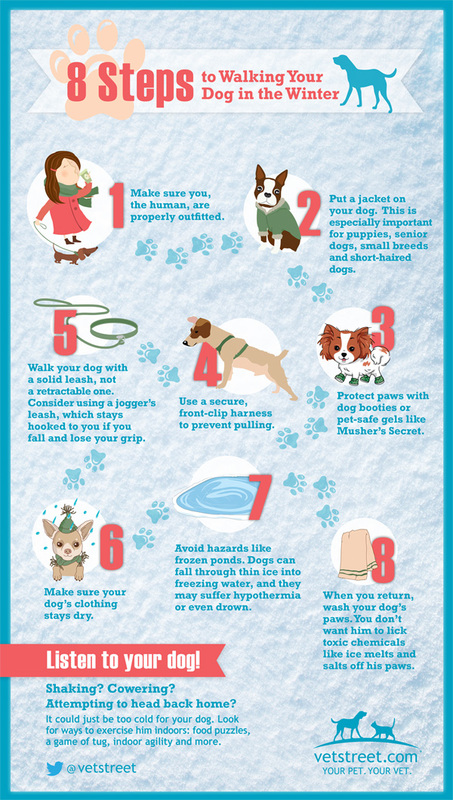 Don’t let winter’s chill spoil the fun for you and your dog. With a little creativity you just might discover new opportunities for training and bonding time with your best friend. This entry was posted in American Kennel Club, Dogs!, Home page, Ozarks, Training and tagged AKC Canine Good Citizen, American Kennel Club, Canine care, Dogs, Ozark Summer Highlands Sasha, Training, Vet Street, Winter Safety. Bookmark the permalink. New to your blog an enjoyed reading it. Your Sasha looks almost exactly like my grandmother’s dog Pal who lived to be 17! I loved your book and am wondering when the next one will be out. I used to live in Illinois but now in Southern California high desert area. We get snow here occasionally and it gets pretty chilly, sometimes down in the 20’s. Kathy, thanks for your comment, and delighted to know you loved DEADLY TIES. The next in the series is DANGEROUS DEEDS and is in the publication pipeline for later this year. I hope to have as many years of joy with Sasha as your grandmother had with Pal!